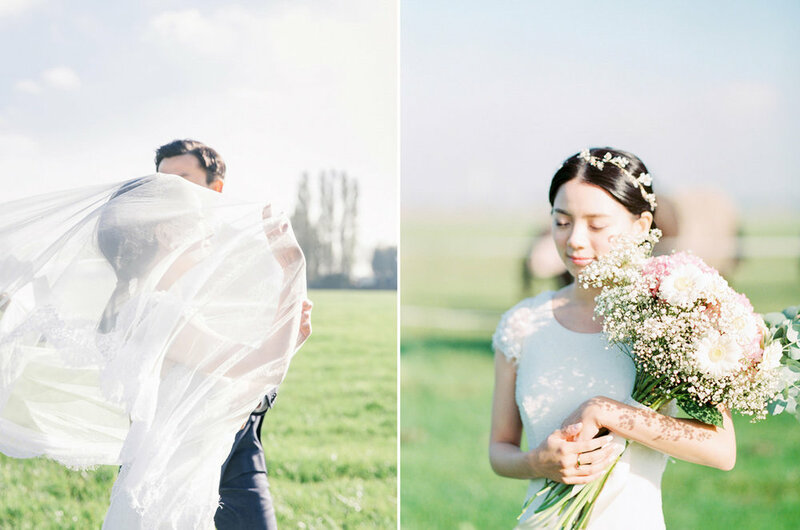 Mandy and Xiyuan came from Toronto to travel around Europe and had a crush on the little Dutch village Zaanse Schans the first day they visited. Zaanse Schans is a traditional Dutch village near Amsterdam packed with windmills, barns, and houses built in the typically Dutch wooden architectural style, dates back to the 18th and 19th centuries. The couple immediately decided that an engagement session in this beautiful place was a must. Mandy contacted me at the same night, and we made plans to go back there the next morning to take their engagement photos. It was definitely a compulsory decision for both of us but the results are worth every effort.